Find your African Safari Tour! On this 8 day luxury fly-in safari you will be the passenger of the Cessna 208B Grand Caravan which is a plane of the newest generation, equipped with the most modern board technique, like digital weather radar, Garmin 3D navigation system and air condition. 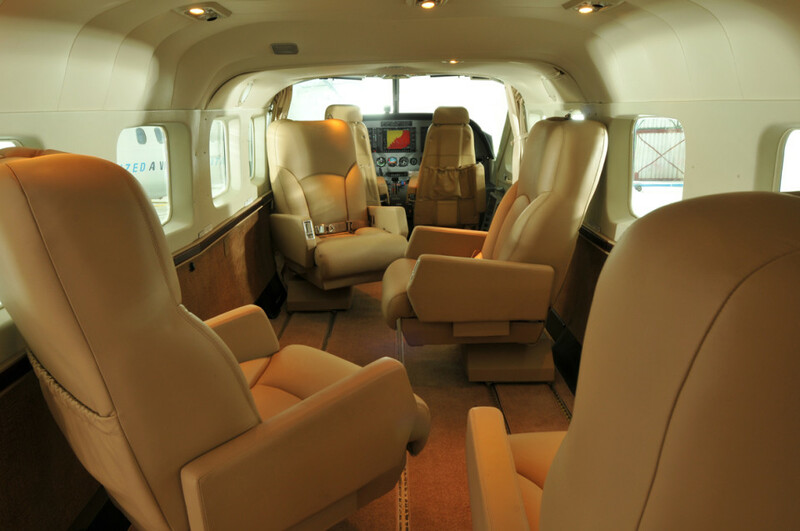 Your private air plane has 8 very comfortable and luxurious First Class seats. Soft leather reclining seats with the ability to move in all directions to ensure a lot of leg space – this allows you to travel “in style“. During the flights, your pilot will give you information about the wildlife and the scenic highlights in the parks via headphones. Each seat has its own large window. Observe the passing elephant herds, the hippos close to the rivers and the extensive Kenyan Savannah from a very close distance. This combines to create what is truly a unique flying experience. Pick up from your hotel and transfer to the airport Nairobi Wilson. Join Schedule flight to the world famous Masai Mara. Your guide welcomes you at the airstrip and drives you to Karen Blixen Camp. Set on the bank of the Mara River the camp consists of 22 luxurious tents. The location is spectacular, with the great Mara plains behind the camp and the impressive escarpment and the river in front. After lunch at camp you experience your first game drive. Dinner and overnight stay at Karen Blixen Camp. 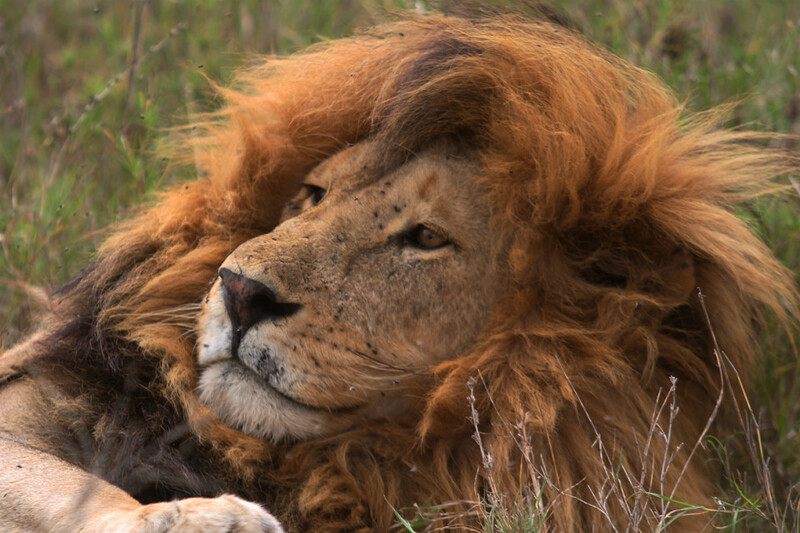 During the day, you go on a game drive through Masai Mara. 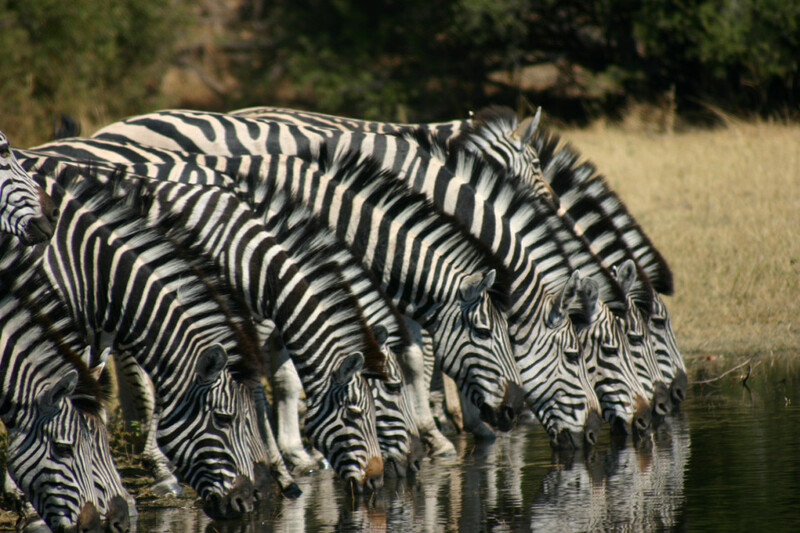 The game reserve is best known for its wildebeest and zebra migration, which tends to pass through the area July to October, but many areas offer excellent game viewing year round. Breakfast and lunch at camp. We offer you the option to go on a balloon safari (for a surcharge) and to enjoy the bird’s eye view of Kenya. Dinner and overnight stay at Karen Blixen Camp. After your early morning bush breakfast you fly into Amboseli area. 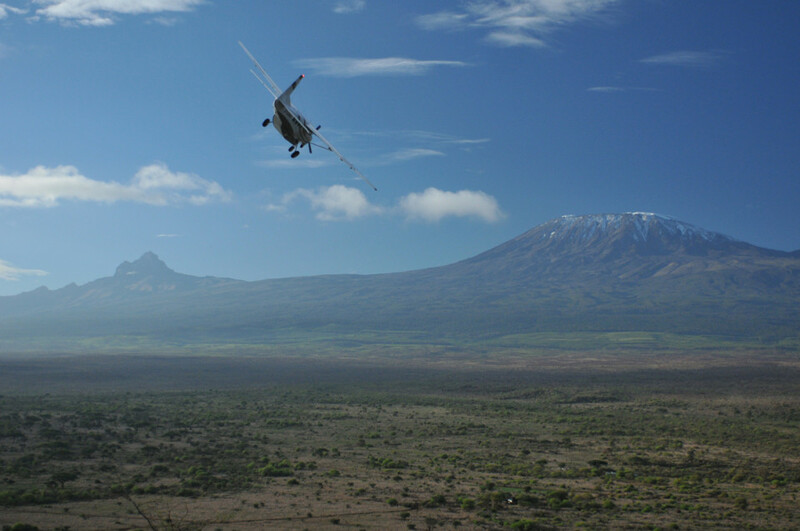 On the way from the airstrip to Satao Elerai Camp you can admire the beautiful scenery and the animals. 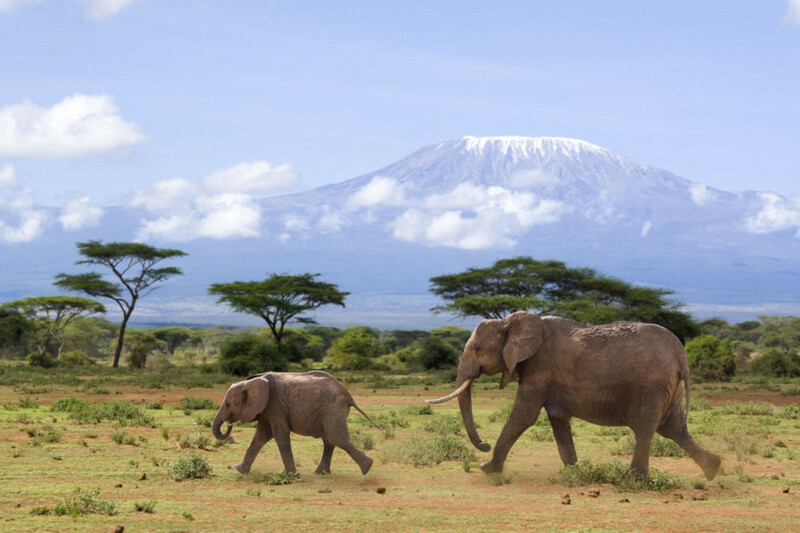 The camp is located on an escarpment offering a wonderful view over Amboseli Park and Mount Kilimanjaro. After lunch at camp, you visit a typical Masai village and get an insight into the life of this traditional tribe. Dinner and overnight stay at Satao Elerai. After breakfast, you will enjoy a morning game drive in Amboseli National Park. You drive back to your camp for lunch. Afterwards, you have time to relax and enjoy the wonderful panoramic view from your camp. This afternoon, you go on a game drive through the conservation area. When the sun starts to go down behind the horizon, you enjoy a bush sundowner. On your way back to the camp, you experience the Kenyan savannah at night – a unique experience. Dinner and overnight stay at Satao Elerai. After breakfast you fly into Tsavo West National Park, where the team of Severin Safari Camp awaits you for lunch. Afterwards, you have time to relax at the KENBALI SPA. Enjoy the beautiful scenery from the camp pool or relax during one of the massages (not included). Inspired by the African wilderness and centuries-old Southeast Asian techniques of wellbeing, the Spa is an oasis of peace and relaxation. In the afternoon, you go on an excursion to the popular Mzima Springs, a little oasis of palm trees and acacias. At Poacher’s Lookout, you will enjoy the beautiful sunset while having a glass of sparkling wine and canapés. Dinner and overnight stay at Severin Safari Camp. Discover the secrets of the African wilderness by foot! You are accompanied by a Masai, who shows you around. During the tour you learn a lot about the ecosystem, the multifaceted bird life and other park inhabitants. After breakfast you fly with your luxurious Cessna to Tsavo East. This part of the park is very popular for its herds of red elephants. At the airstrip, you are picked up by your guide, who will bring you to Satao Camp. After lunch you experience your first game drive. Dinner and overnight stay at Satao Camp. 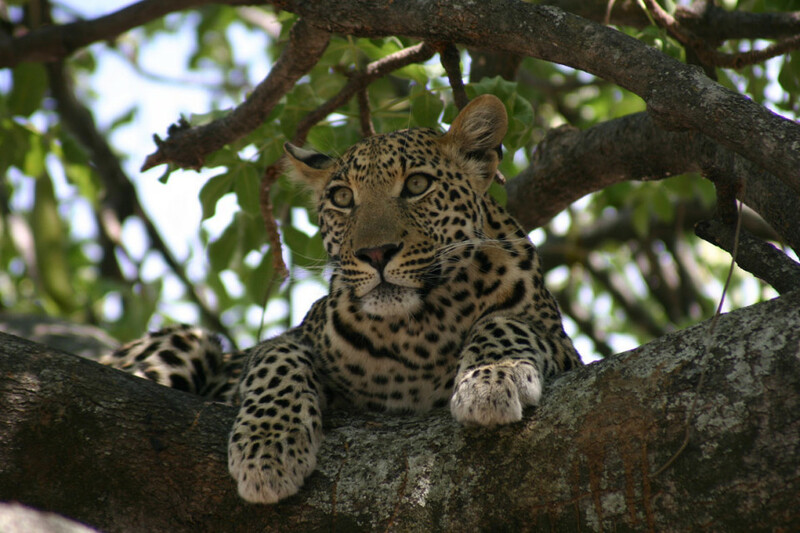 Today enjoy a game drive with picnic lunch on route to Luggards Falls on the Galana River. These amazing falls are in fact rapids where Galana River disappears into a rocky gorge. The beauty of the site is the multi coloured rocks carved over centuries by the water into a variety of fantastic shapes. The rapids, becoming ravaging floods during the rain seasons, plunge into a large pool below where giant crocodiles are resting and lying onto sandbanks. Evening bush sundowner. Dinner and overnight stay at Satao Camp. After returning from your early morning game drive you will have breakfast at camp. Afterwards your driver brings you to the airstrip from where you leave with your luxury aircraft for the flight to Mombasa. From the airstrip in Mombasa you are brought to your beach hotel. How big is the group and where are my fellow travellers from? - Group sizes vary however there is a minimum of 2 and a maximum of 7 travellers per group. - Travellers are from all over the world and from all walks of life. Is there an age limit on fly-in safaris? - Although there is generally no age limit on fly-in safaris, we would not recommend a fly-in safari for children under the age of 12 years as they might not be able to take part in certain activities (i.e. bush walks) due to safety reasons. But please feel free to contact us if you wish to bring your child/children along and we will gladly do our best to work out something for you. What type of accommodation can I expect on safari? - The nights are spent in comfortable lodges, tented camps or hotels and all rooms are en-suite. - Although most lodges and camps do provide power in the rooms, some don’t. If this is the case, the rooms are equipped with petroleum/solar lights and batteries can be charged in the public areas (bar, restaurant). What mode of transport is used on a fly-in safari? - The journey is done with a Cessna 208B Grand Caravan, a luxury aircraft which can carry a maximum of 8 people in luxurious first class leather seats and is equipped with modern technology onboard, such as a 3D navigation system and air conditioning,. - For the transfers from the airstrips to the lodges/camps as well as on game drives, an open 4x4 safari vehicle is used (i.e. Toyota Landcruiser). What meals are included and what food can be expected on a fly-in safari? - Meals are included as indicated in the itinerary. - Breakfast generally consists of a full English breakfast as well as of cereals, toast, cheese, jam, fruits, juices, tea and coffee. For lunch and dinner it is usually a three course menu or a buffet with different meat, poultry, fish, rice, pasta or vegetable dishes. How much extra money do I have to take along? - Tipping the crew after the tour is common. We recommend 15-20 USD per day/group for the guide. In addition you should take some extra cash for drinks, snacks and souvenirs. - Please note that all USD bills must be printed after 2004 as any earlier dated bills are not valid and won’t be accepted. Do I need visa for this fly-in safari? - Citizens of all nationalities need to contact the respective embassies of their travel destination to check the visa regulations. - In general European citizens can apply for a Kenyan Visa upon arrival in Kenya. - It is the sole responsibility of every traveller to be in possession of the required documents and visa that allows them to enter their holiday destination. Do I need vaccinations for this safari? - The safari starts and ends in Kenya, which is a yellow fever region, therefore we recommend a yellow fever vaccination. 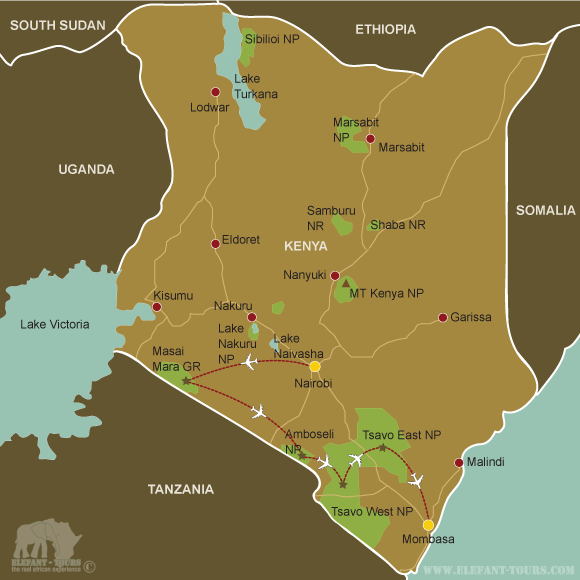 - Kenya is also situated within a malaria area, we would recommend some precautions. Please speak to your doctor or travel clinic about the different prophylaxis and their effects and side effects. - Although Kenya does not require proof of immunization against Tetanus, Diphtheria, Polio and Hepatitis A & B, we nevertheless recommend those vaccinations. Are there any weight or luggage restrictions? - Luggage, including camera equipment and hand luggage is restricted to 15kg per person travelling. - Luggage has to be packed into soft bags and no hard suitcases or bags with wheels will be accepted, as they physically do not fit into the aircraft. - The maximum dimensions of the soft bags are as following: 25cm/10 inches wide x 30cm/11 inches high and 62cm/24 incheslong. - Passengers weighing over 100kg should please advise us at the time of booking as we may need to cost in an additional seat on internal flights for your safety and comfort.